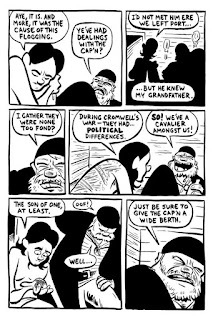 There are some comics series that I am embarrassed to say that I have not read, because I just keep hearing about how great they are. 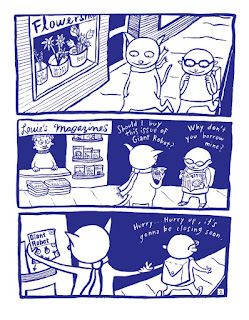 Or I keep seeing them displayed at the artist's table at HeroesCon, but don't do pick them up. 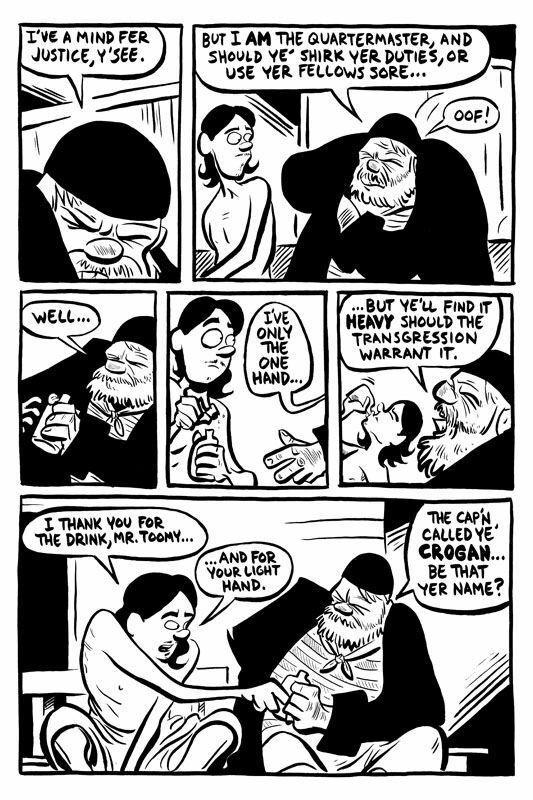 Chris Schweizer's The Crogan Adventures is one of those. 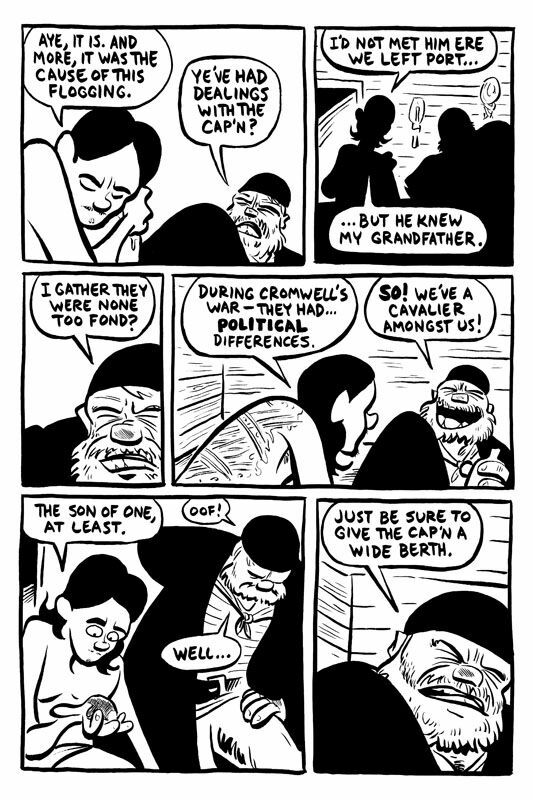 It has been nominated for two Eisner Awards and it chronicles the adventures of various members of the fictional Crogan family tree, an interesting and varied group that includes cowboys, explorers, adventurers, scalawags, legionnaires, and ninja. This first book (out of a proposed 16!) 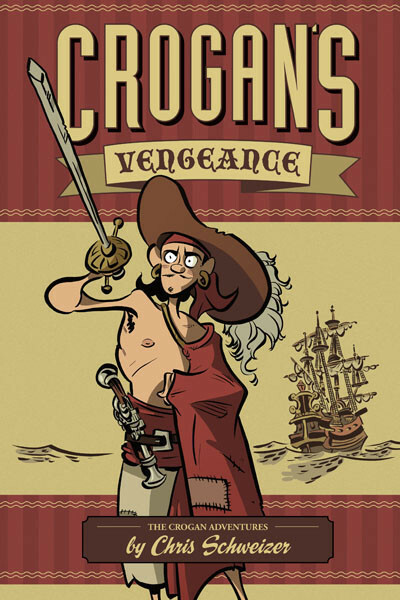 focuses on the clever and resourceful Catfoot Crogan, a sailor turned pirate who lived in the 1700s. As you can see from the excerpt below, the story is couched in real historical terms. I very much enjoyed seeing the amount of detail that went into depicting what life at sea would have been like at the time. I also appreciated how these details helped later propel the narrative. After the scene and characters are quickly established, the book takes off into high gear. There are rumblings of mutiny, cruel captains, and pirate attacks, not to mention scheming, double-crossings, and sword-fights galore. This was the best kind of adventure tale, full of suspense, drama, and characters I cared about. And even though there are times that Catfoot is worse for wear, reading about how he dealt with his travails was a lot of fun. As you have probably noticed from the artwork, it is pretty cartoonish. Even so, the attention to backgrounds, the ships, and the period garb are all on point, highlighting the expressive art style. Schweizer's storytelling and layouts are both expert and exceptional. All of the reviews I have read about this book have been glowing. Don MacPherson wrote that it "stands up well as a self-contained, one-off story." Snow Wildsmith concluded, "Because of the well-crafted plot, strong writing and distinctive art, Schweizer’s series is off to a great start and should prove popular with teen and adult graphic novel fans." Andrew Wheeler summed up that it was "a somewhat sanitized pirate story, but what popular pirate stories aren’t? 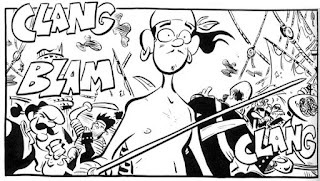 It’s full of men swooping down from the crow’s nest, cannons roaring across narrow stretches of water, desperate hand-to-hand fights with pistol and cutlass, and men wearing earrings, bandannas, and strange hats. What’s not to love?" Crogan's Vengeance was published by Oni Press, and they have more info about it here. 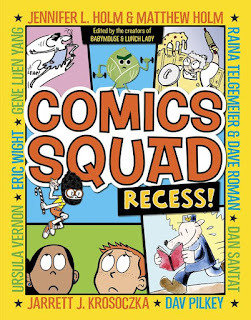 For most students, recess is the most fun part of the day, and I have to say that this compilation is totally fun for younger readers. 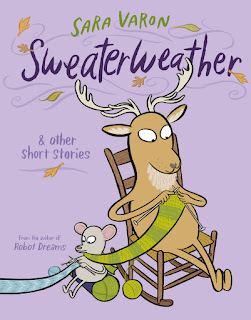 It features some fantastical stories, like the one that stars an anthropomorphic cupcake named Jimmy Sprinkles and another featuring a talking squirrel ("The Magic Acorn"). There are also more realistic stories about kids dealing with indoor recess on a stormy day ("The Rainy Day Monitor") or the time crunch for getting a book report written ("300 Words"). Because of the consistent humor and quality of the various stories, I feel this book would be great to hook new comics readers or to entertain more experienced comics fans who are into some of the characters/creators contained within. All of the reviews I have read for this book sing its praises. Publishers Weekly gave it a starred review and called it "a very funny collection." Kirkus Reviews also gave it a starred review, stating that it was "lively, upbeat and all-around-awesome." Andy Wolverton wrote that it was "the perfect book to give to young readers who already enjoy comics/graphic novels as well as to those who might be a bit hesitant to read them." 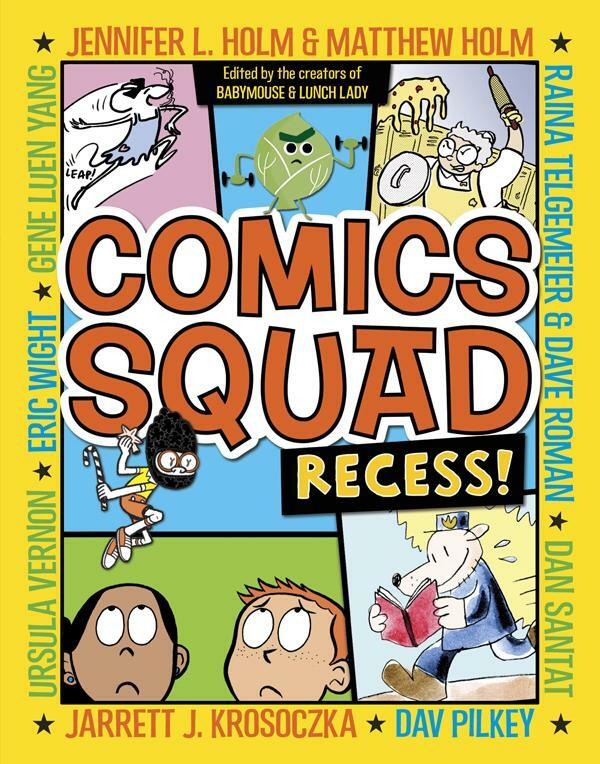 Comics Squad: Recess! was published by Random House Kids, and they have links, a video preview, and more information here. 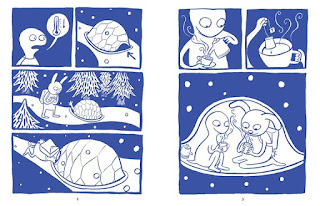 Today I am looking at a couple of books from Nobrow Press. 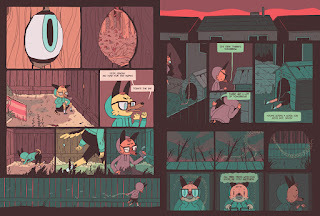 This publisher specializes in highlighting first-time graphic novelists so they get more exposure and the potential to work on longer works. The first book of theirs I read was Fantasy Sports No. 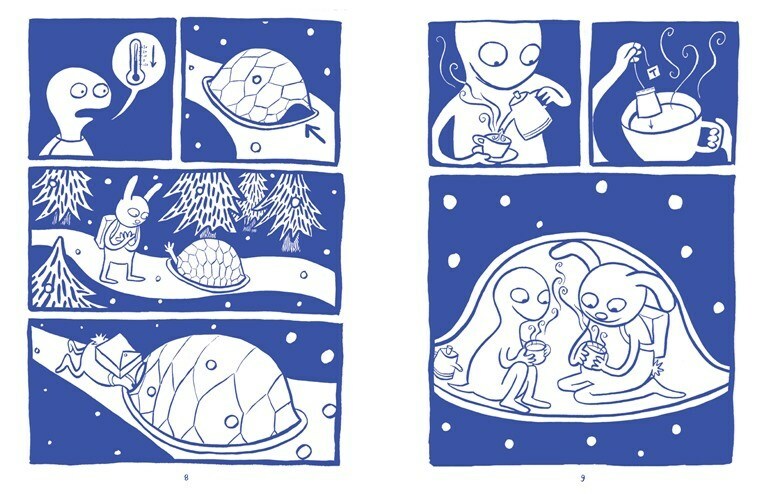 1, a fun and beautiful book that was one of my favorites from last year. I recently ordered a couple of their other books to see what they were about. Vacancy is short work about a neglected dog named Simon. He stays in his yard, but he longs to get beyond the fence and run with the coyotes. One day, a raccoon and a deer break into the yard, and he decides he is going to join them as they run back into the woods. During their trek, the two wild animals haze Simon, and he learns he might not be so well equipped for life in the wild. Still, all three have to band together when they encounter a pack of coyotes, who are not so keen on letting strangers join their fold. Unless by "joining" you mean being killed and eaten. 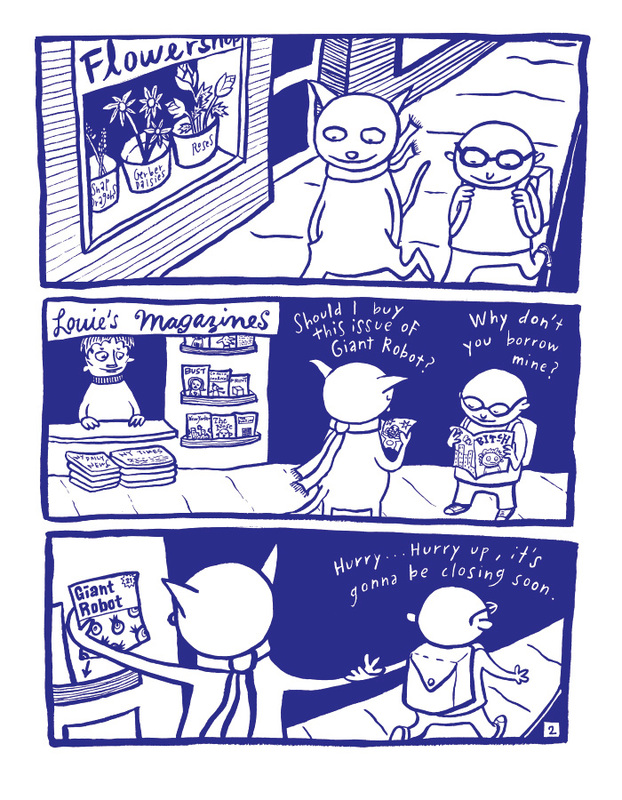 I think this comic would be accessible for upper elementary or middle school readers at the youngest. Some of the characters are cruel, but I think they could handle those situations. I thought the plot was quite compelling and the characters well defined and interesting. The ending was a little abrupt and a mite confusing, but still I really enjoyed this book. Janelle Asselin wrote that in the end "readers win with cute animals playing out sometimes devastatingly sad stories." 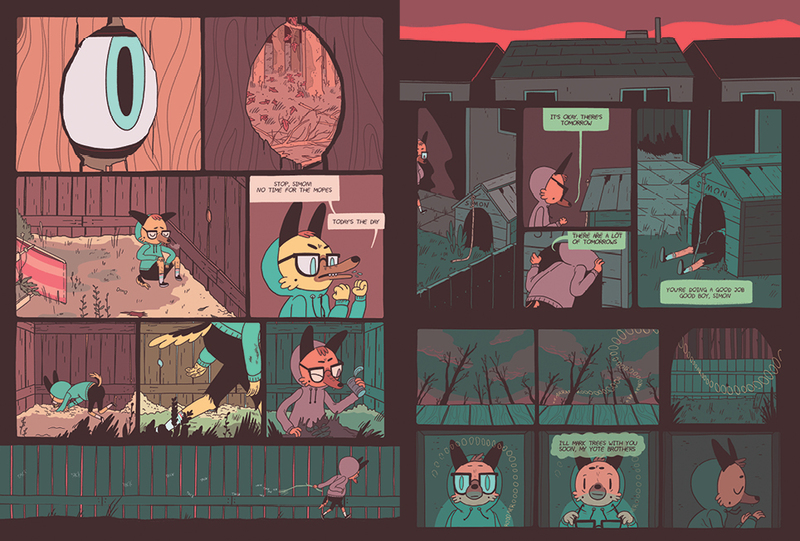 Publishers Weekly summed this book up as "More than just a cute animal comic, this is a parable about establishing comfort zones and the dangers of breaking them." 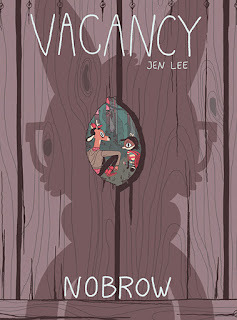 Vacancy was created by Jen Lee, and she currently has a webcomic called Thunderpaw in progress. She talks more about her work on Vacancy in this preview/interview. Mean Girls Club, by contrast is a much shorter and adult comic. 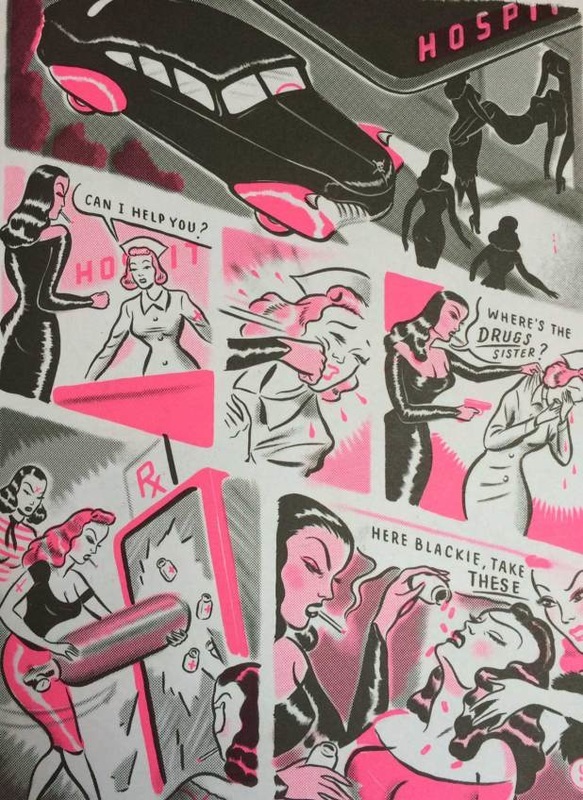 It follows the exploits of Pinky, Sweets, McQualude, Blackie, Wendy, and Wanda, a band of hard-living women who drink, swear, commit crimes, do drugs, and engage in lots of other antisocial behaviors. Everything is so over-the-top that this book acts like a parody or even some social commentary on traditional gender roles. Also, I think this book is pretty funny, but it is way less decompressed than Vacancy, basically consisting of lots of double-page spreads of the women's wild antics. These images were originally part of an art instillation, but they still work well as a brisk, loose narrative. I really liked the stylized artwork and color scheme. 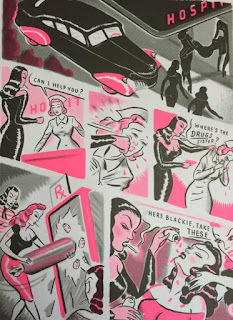 The book has a cool retro look that adds a comic dimension to the multiple misdemeanors and felonies that were committed. Dustin Cabeal summed up his view, "Sure the story is simple and crazy, but I had a lot of fun reading it." Richard Bruton wrote, "It’s a fun, interesting thing, but most of all, it’s a gorgeously illustrated thing." 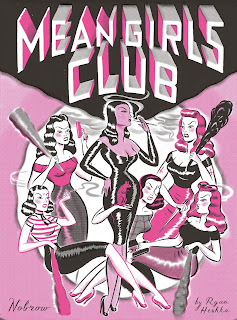 Mean Girls Club was created by Ryan Heshka, who also has a couple of children's books under his belt. This book is not meant for children, in case that has not been made clear. There is more info about Vacancy here and about Mean Girls Club here. 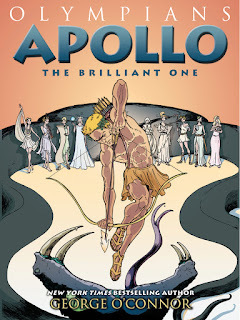 Apollo: The Brilliant One is the latest entry in George O'Connor's Olympians series. Like the other books, this one is full of a great array of Greek myths featuring the titular character, and the contents of the book mirror and portray his personality. This a a beautiful book to look at, and it is structured around a series of presentations by the Nine Muses. In each story, we see Apollo in action, killing Python, establishing the Oracle at Delphi, becoming a patron of the arts, getting revenge on mortals who dare compare themselves to him, and turning his attention to a number of females (always with disastrous results). There is also a sizable section about his famed son Asklepios, the first doctor. Even though he was beautiful and full of song, Apollo's stories belie a dark side that emerges with each tale. This is a complex, entertaining, and thoughtful book, well worthy of the series. And like the other entries, it features copious endnotes, footnotes, and additional references for further reading. All of the reviews I have read for this book have been laudatory. Shelley Diaz gave it a starred review and called it "A shining example of a graphic novel that educates and entertains." Sarah Rachel Egelman wrote that it was "a fantastic and exciting introduction to this important god of ancient Greece." Kirkus Reviews commented positively about Apollo's portrayal as a tragic hero. 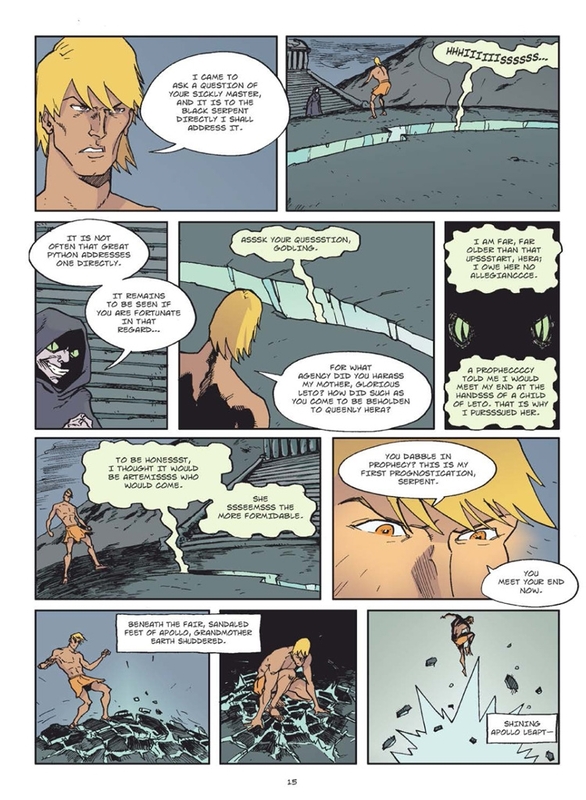 Apollo: The Brilliant One was published by First Second, who has a preview and much more available here. And there are lots of other types of comics in here, too: Diary Comics done for The Comics Journal, paper dolls, a shorter draft version of what would turn into Robot Dreams, and some nonfiction about beekeeping. 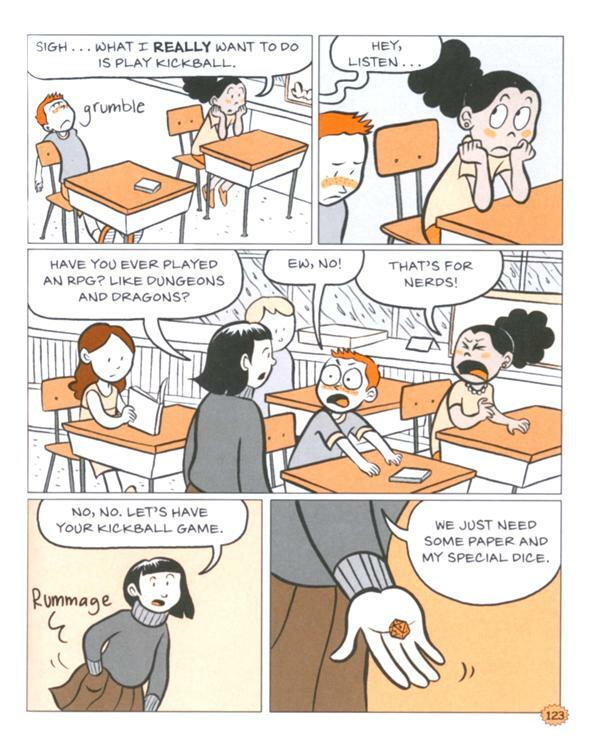 These are charming, well rendered, and thoughtfully fun comics, and they come with short notes about her inspirations, intentions, or memories of each. I read this book in a few sittings just so I could draw out my enjoyment and appreciation of each piece. All that said, they are all pretty short, so those expecting longer narratives might be disappointed. This book is a revamped and revised version of one published in 2003. Most of the reviews I have read about this book have been full of praise. 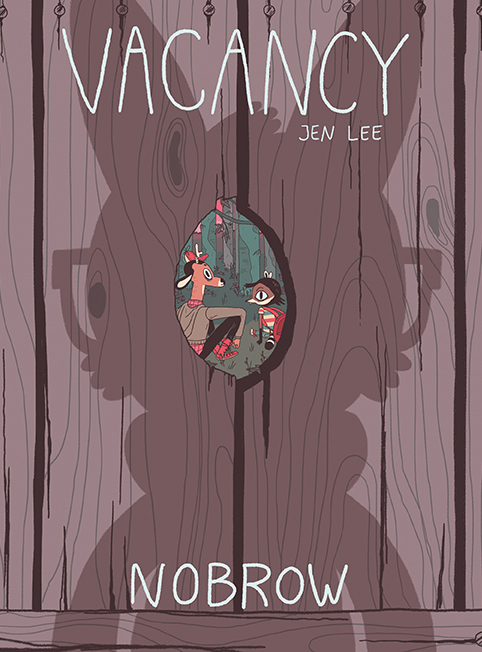 Publishers Weekly summed up their starred review, "Varon’s characters, their sheepish expressions, and their animated conversations are unfailingly delightful, while flashes of graphic inventiveness—a fake flyer bound into the book, a set of carefully engineered paper dolls—are icing on the cake." Claire Thorne wrote this praise, "The quality of the illustration and narrative is deceptively simple, inviting the reader to read the stories over and over for new doses of this charming and whimsical world." Beth was more disappointed with the book, noting that "something (besides words) was just missing for me. Many of the pieces just seemed to end abruptly while others seemed a bit experimental but not in a boundary pushing way." 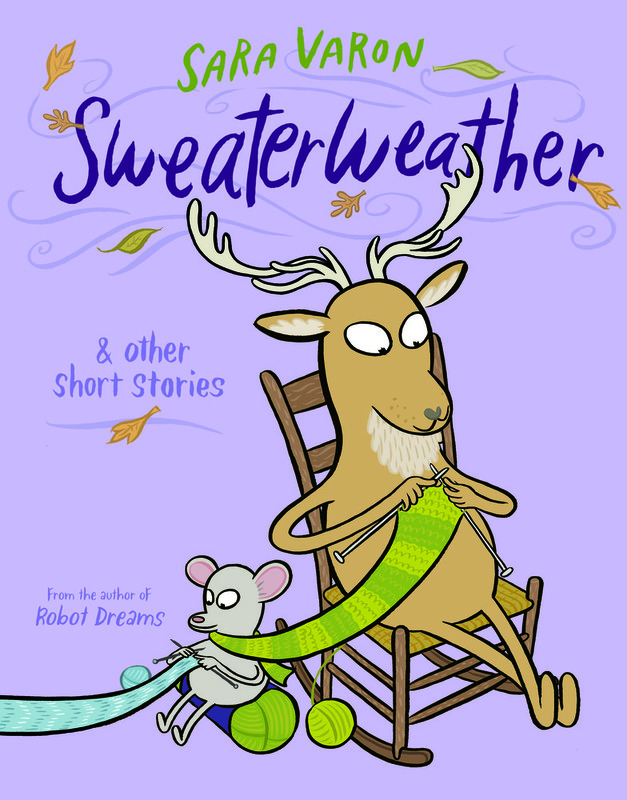 Sweaterweather & Other Short Stories was published by First Second, and they have a preview and much more available here.